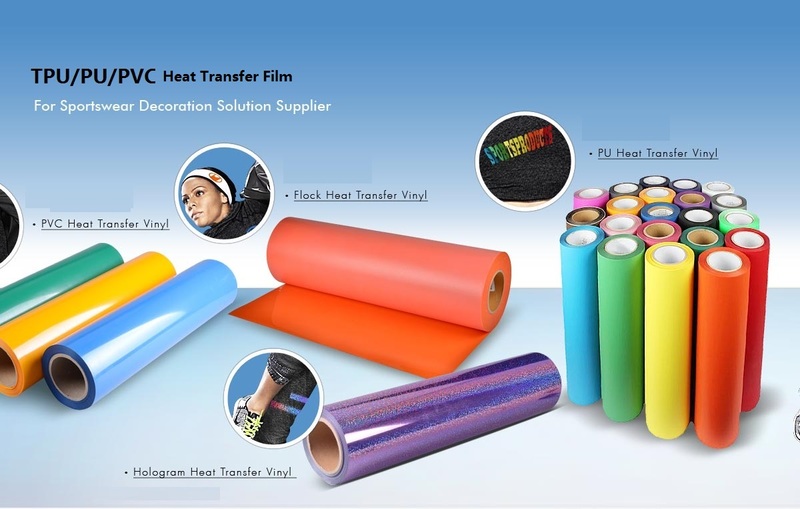 Product categories of Heat Transfer Vinyl Film, we are specialized manufacturers from China, Heat Transfer Vinyl Film, HTV Film suppliers/factory, wholesale high-quality products of TPU Heat Transfer Vinyl R & D and manufacturing, we have the perfect after-sales service and technical support. Look forward to your cooperation! Heat Transfer Vinyl is a great way to customize your shirts, jerseys, and many other forms of apparel. You can print small runs that include names, logos, numbers or text with transfer vinyl. Trying to print custom names, logos or numbers on jerseys has gotten even easier with heat transfer vinyl. The traditional way of using standard silk screening would take multiple images with individual films, screens and very careful printing. Skip the lengthy process, shop heat transfer vinyl to save mounds of time and money! we have TPU, PU, PVC, and Flock, Glitter, printed heat transfer vinyl, do not hesitate to contact us.